Future took center stage on The Tonight Show starring Jimmy Fallon Tuesday (September 11) night as the musical guest. The Freebandz rapper opened up his performance by dedicating the song to the late Mac Miller, who tragically overdosed and died on September 7th. 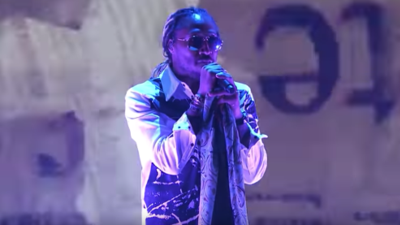 Future Hendrix performed "31 Days" right off of his Beast Mode 2 album solo.